Russetts Developments Ltd is a leading supplier of rubber tank liners to the fire protection industry. In addition to our tank liner, pond liner and lake liner products, we were the first in the industry to introduce the steel eyelet system to the top circumference of tank liners to co-inside with the bolt pitch of tank panels. This is now considered the standard method of circular storage tank liner installations. We were also the first to introduce a full one-piece stitched geotextile protective matting bag. This was designed to protect the liner from extreme heat and cold temperatures radiated through the tank panel sheets, protect the liner during tank installation and to cushion the liner from floating ice damage. This system has been used extensively throughout Europe, Asia and Africa providing continuous protection to tank liners in all types of extreme weather conditions. 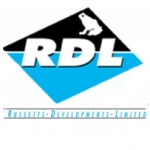 Russetts Developments Ltd (RDL) is a family business established in 1982 initially operating from a "starter" unit in Wymbush, Milton Keynes with a total of two full time and two part time staff. We have since moved twice and currently operate from two adjoining factories in Kiln Farm, Milton Keynes with a total area of 14,000 square feet. Our workforce has also increased to 22 personnel. In the early days the majority of our manufacturing output was for the aquatic trade in the form of rolls and pre-packed tank and lake liners fabricated in Butyl rubber or PVC but over the years many other products and services have been added to our range. These include, EPDM rubber liners, tank liners, surge arrest bladders, pond pumps, lined galvanized corrugated steel tank kits and a bespoke tailored on site TPO lining service. Over the years our name has become synonymous with quality and service and we are proud to have several customers who have been dealing with us from the outset. With a management team boasting a combined total of almost 180 years experience in our industry it is hardly surprising that our products are in use in over 80 countries worldwide.